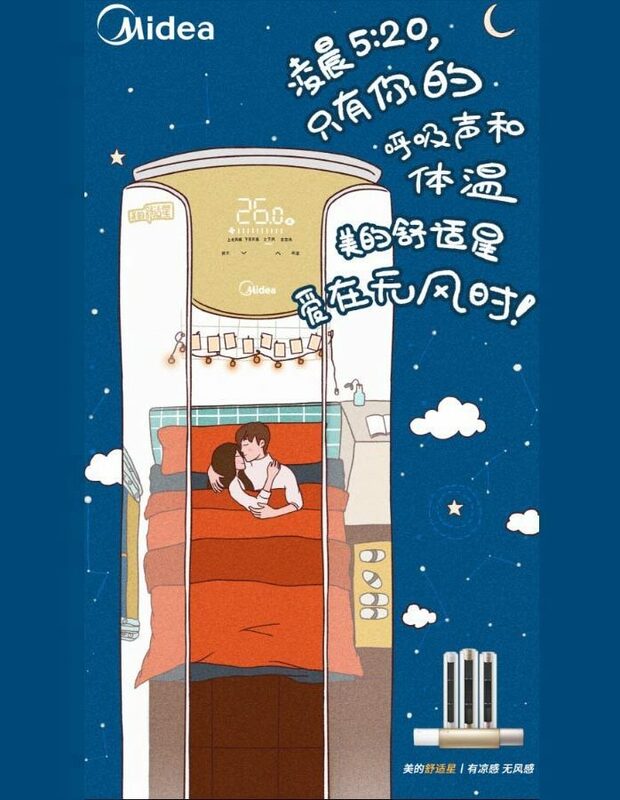 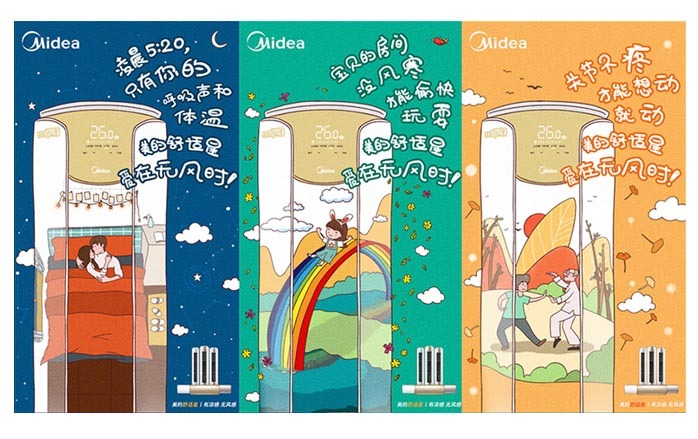 The theme of the poster is the windless and comfortable space created by Midea Air Conditioning. 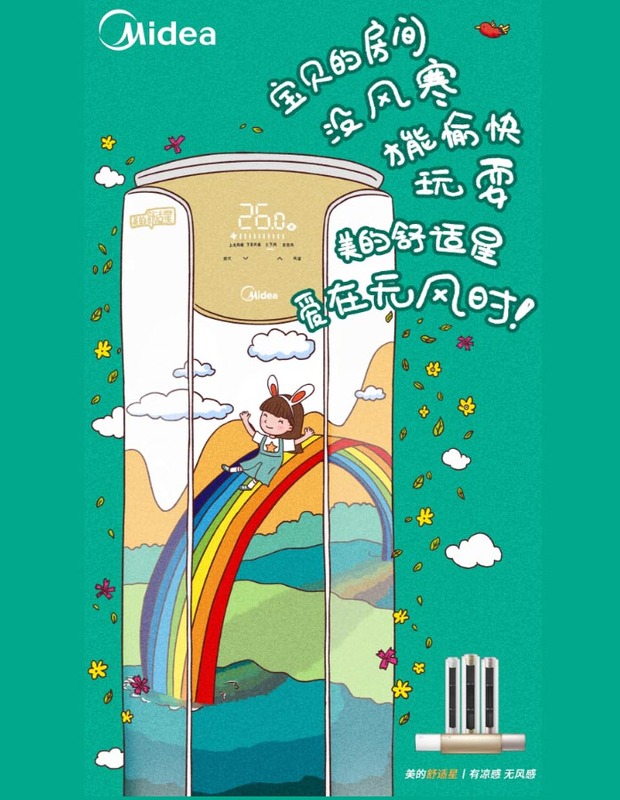 The theme is expressed by placing a comfortable space inside the air conditioner. 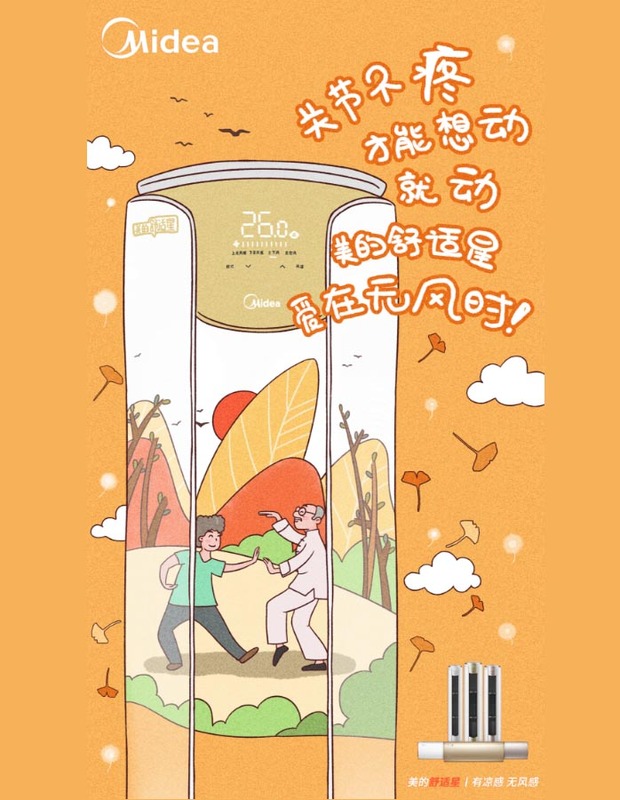 On the screen, cute cartoon styles are used to display: night couples quietly in the bedroom only warm scenes (bedroom article) with the other side, the children playing in the comfortable air-conditioned room, as if outdoors (kids), the elderly Do not worry about joint pain, you can play Tai Chi (the elderly chapter).